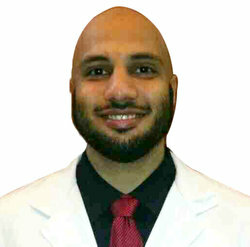 Dr. Mohammed Mujtaba Ali is a Surgical Oncologist and General Surgeon with an experience of 7 years in these fields. Dr. Mohammed Mujtaba Ali practices various well known Hospitals in Hyderabad. He completed MBBS from Deccan College of Medical Sciences, Hyderabad in 2005, MS – General Surgery from Osmania Medical College, Hyderabad in 2010 and DNB – General Surgery from National Board of Examinations, New Delhi in 2011. His main aim is to provide his patients with the highest quality healthcare, and he is dedicated to the newest advancements and keep up-to-date with the latest health care technologies.